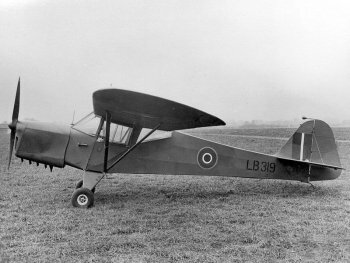 36'0" by 22'5" by 8'0"
The Auster was a light unarmed aircraft based on an American design similar to the L-5 Sentinel. It saw operation use in Burma spotting for artillery at the seige of Meiktila and with Australian forces in the Pacific. It could operate from the roughest of fields, and it could cruise so slowly that its usual defensive tactic was to circle tightly at very altitude, making it dangerous for a high-performance fighter to attempt a firing pass against it. On the other hand, it was highly vulnerable to ground fire.